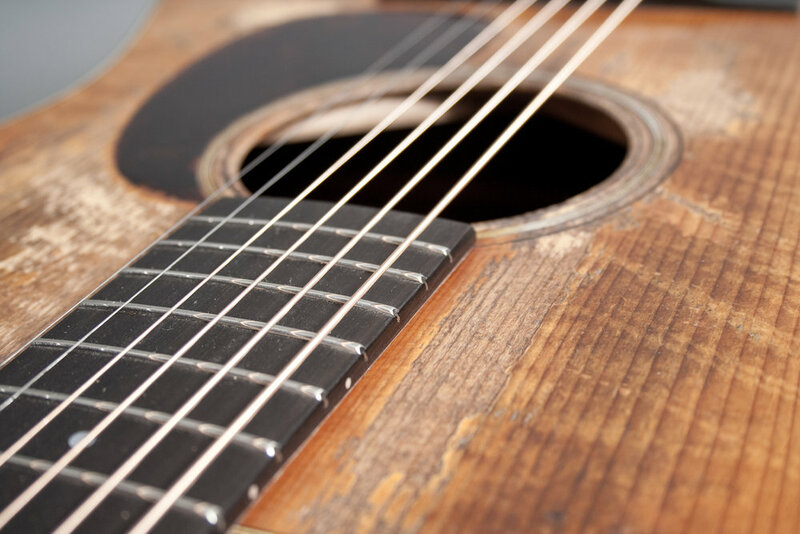 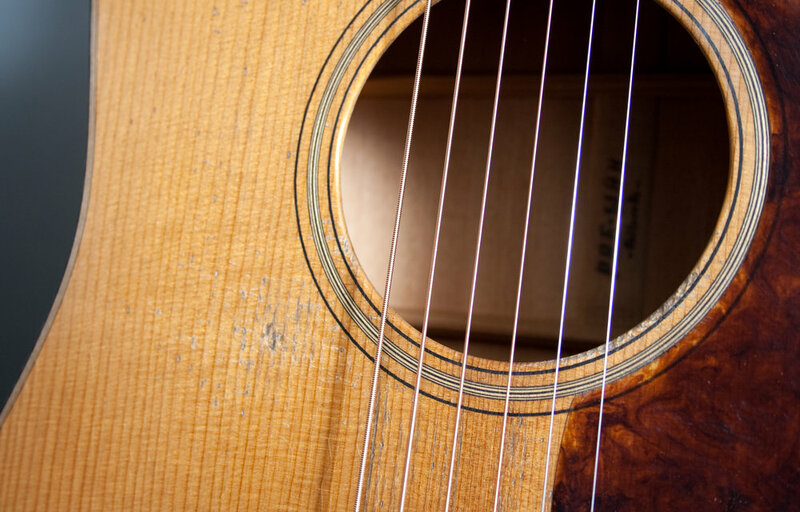 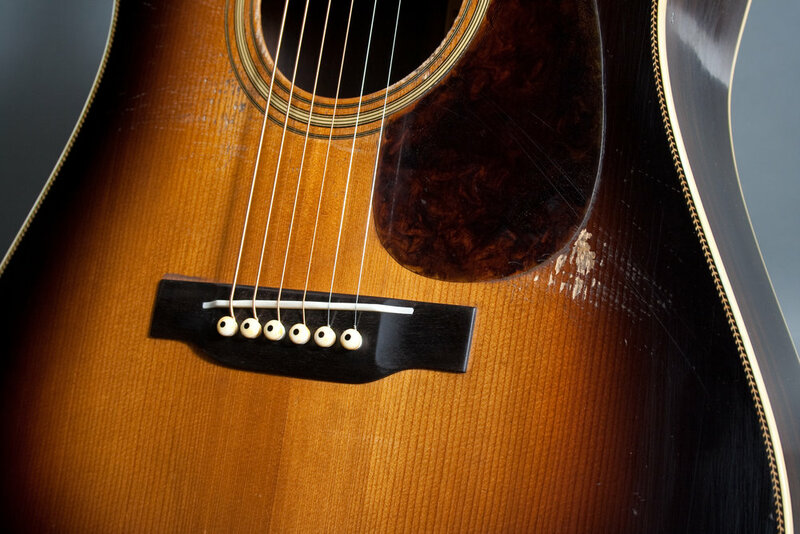 All Pre-war Guitars Co. instruments utilize the highest quality materials. 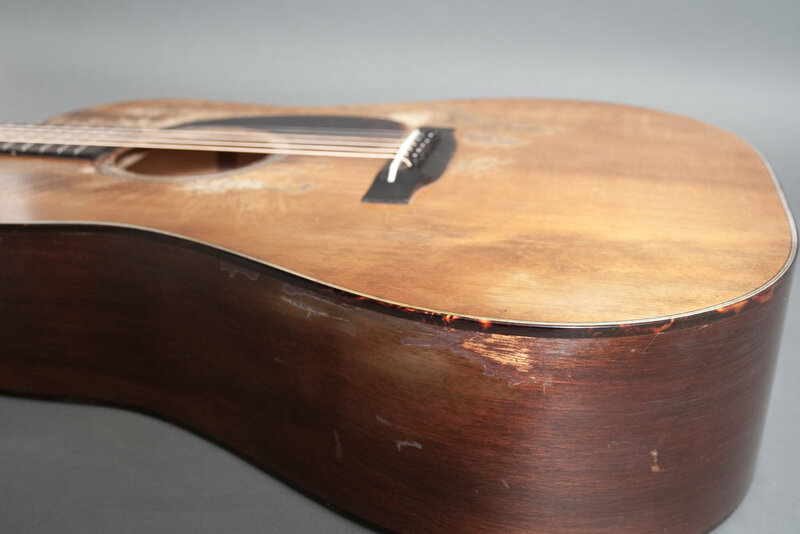 With torrefied tops and bracing, hot hide glue, and traditional building techniques, we are able to get a very accurate vintage sound and look to all of our guitars. 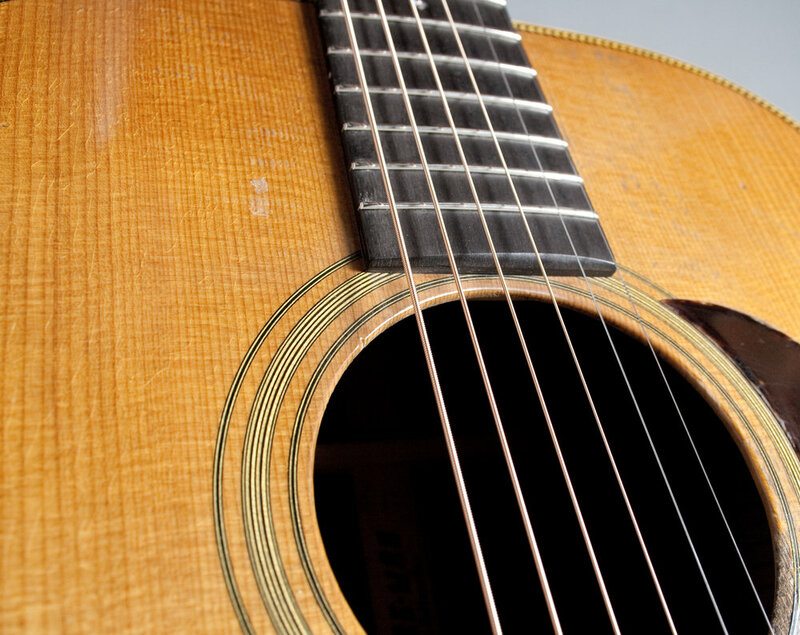 Starting at level 1 our "distress level" is a critical component to the vintage sound that we are able to achieve. 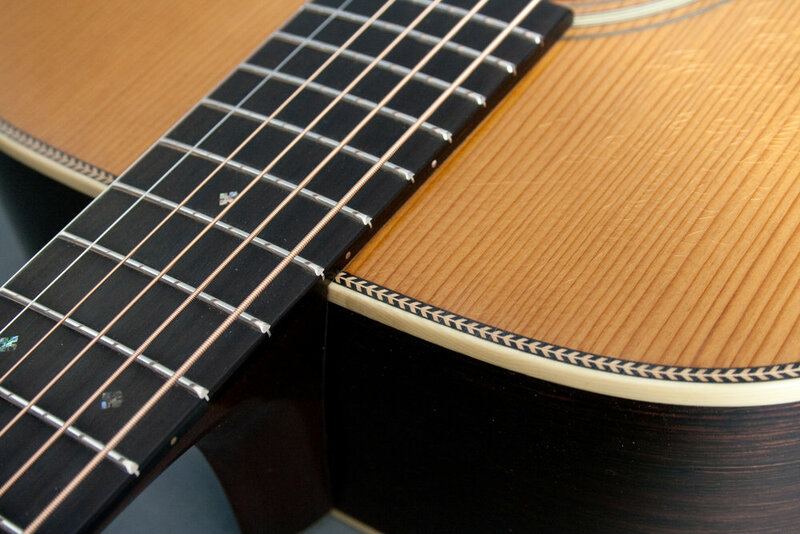 Our finishes are ultra thin Nitro Cellulose. 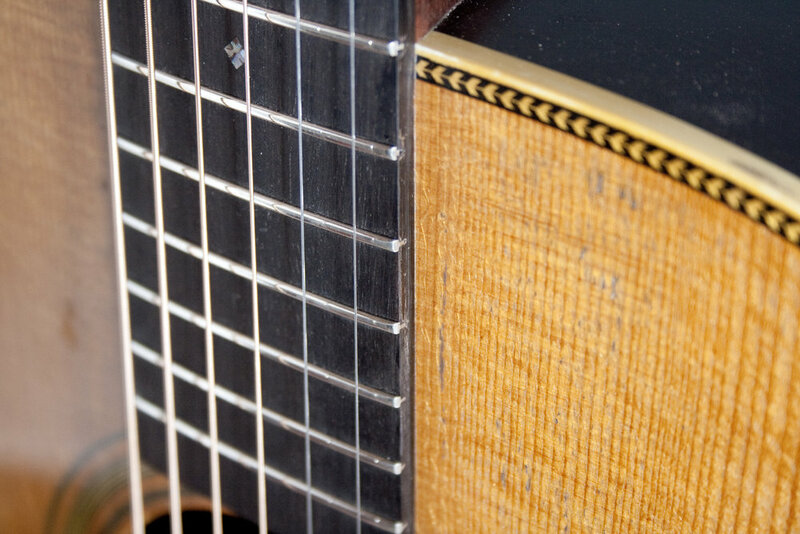 We apply this to be of minimal thickness, which is a crucial ingredient to the sound of our guitars. 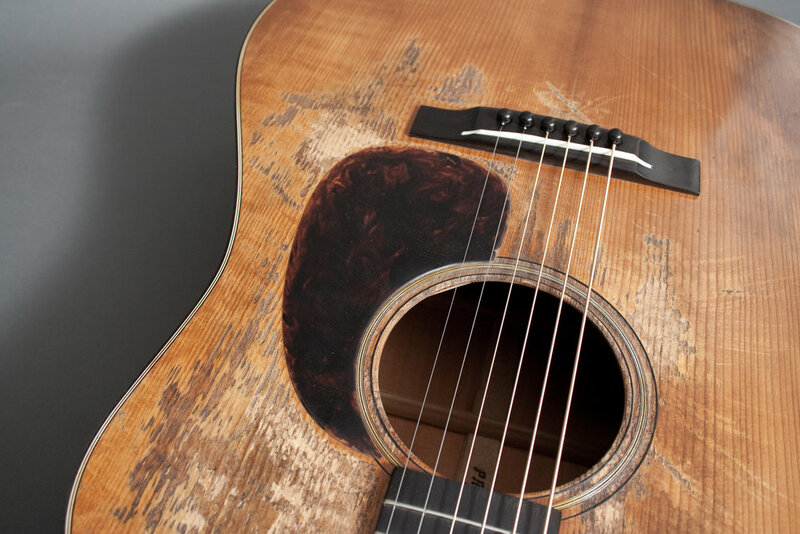 Our ultra thin finish has a natural vintage patina because if the way it is applied, it is also "checked" to relieve the surface tension and get a more open and dry tone. 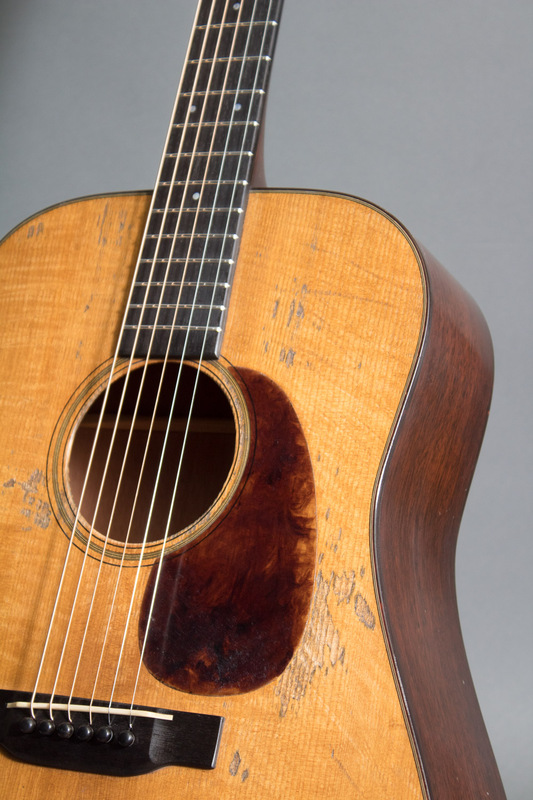 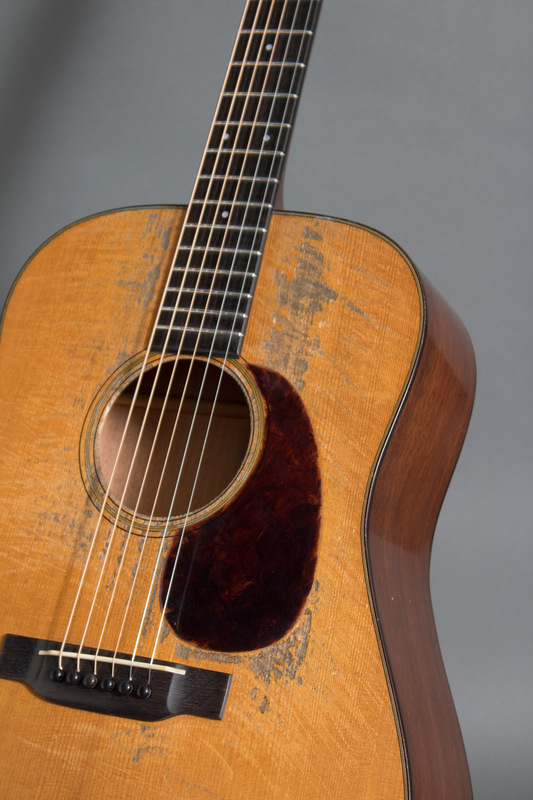 A thin "checked" finish with a natural vintage patina is the baseline finish on all Pre-War Guitars. 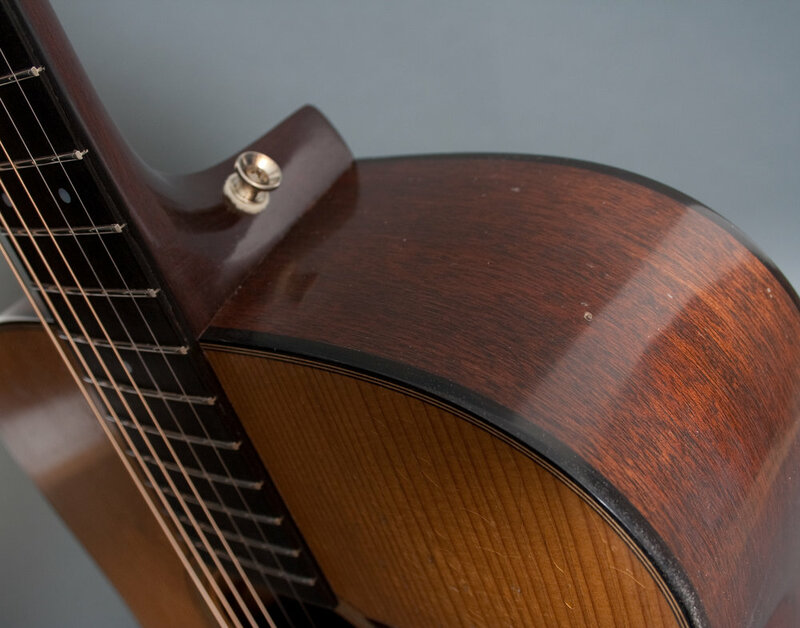 By not applying a thick "Ferrari Glass" finish we allow our instruments to breathe freely with vintage character and tone. 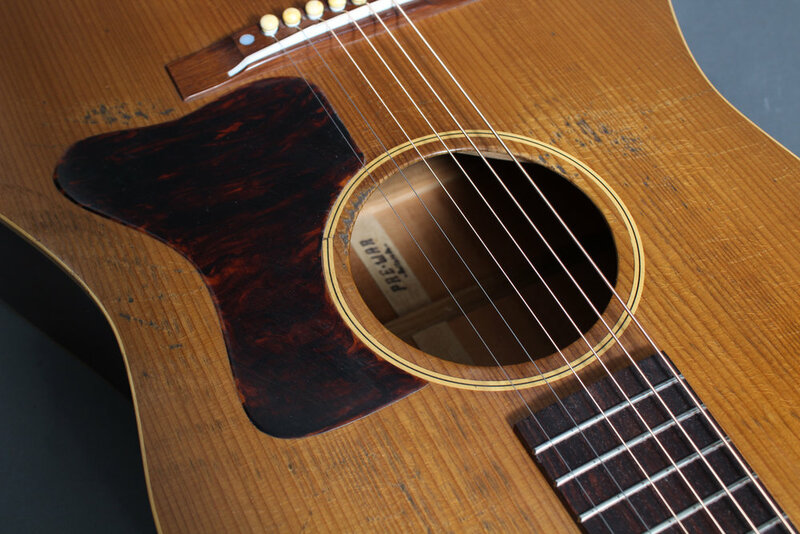 We like to send these out into the world like they are old guitars, just leaving the shop with a fresh neck set, nut and saddle, re-fret, and setup. 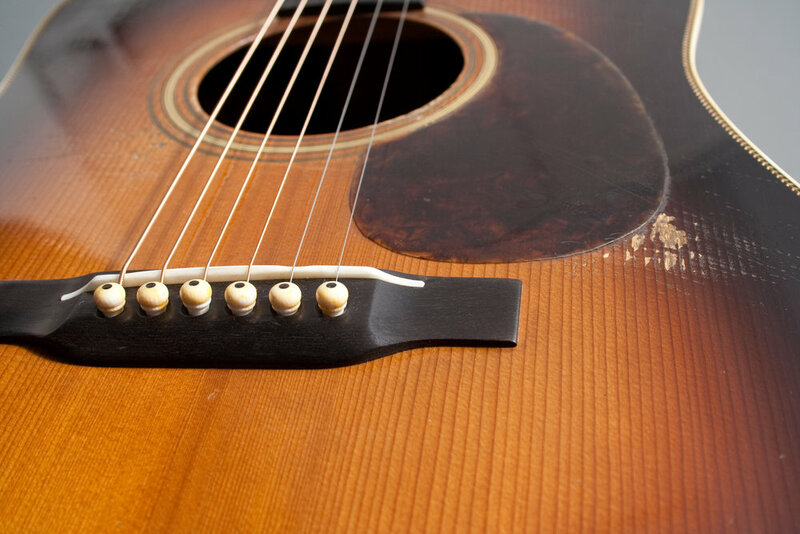 In other words, anything related to how well it plays does not get effected by our aging process. 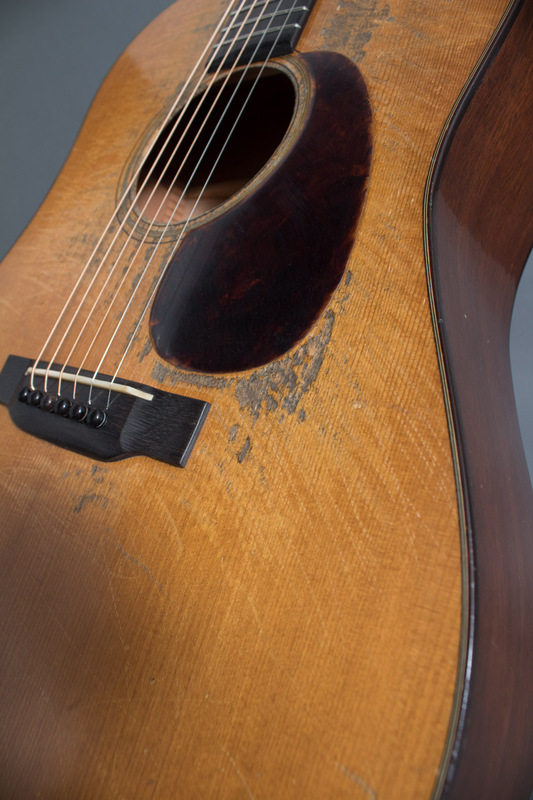 NO ADDED PLAY WEAR - Equivalent to a collectors grade or Mint condition. 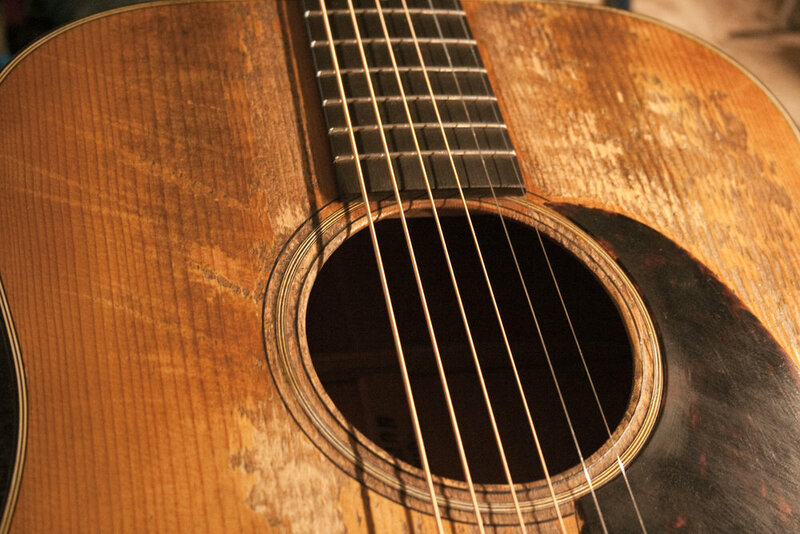 Inspired by a vintage guitar that spent most of it’s life in a case under the bed. 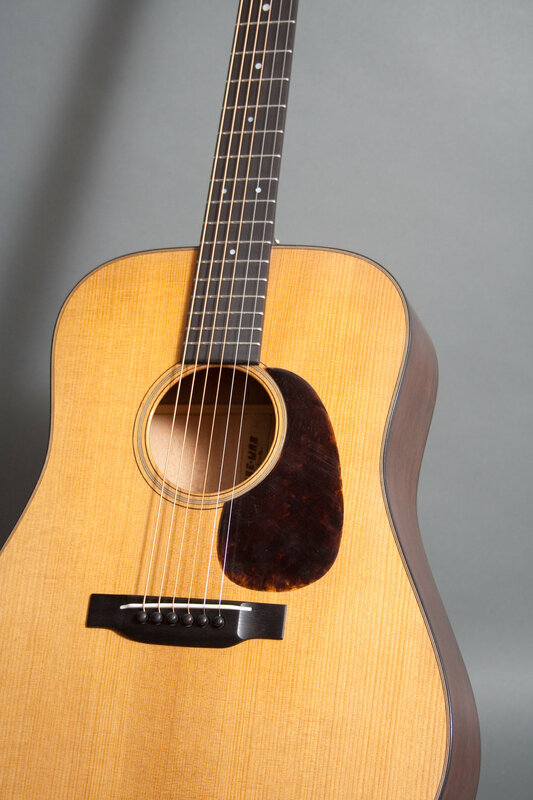 Ultra thin, aged and checked nitrocellulose with -NO ADDED PLAY WEAR- and minimal "handling" marks, vintage hardware and appointments. 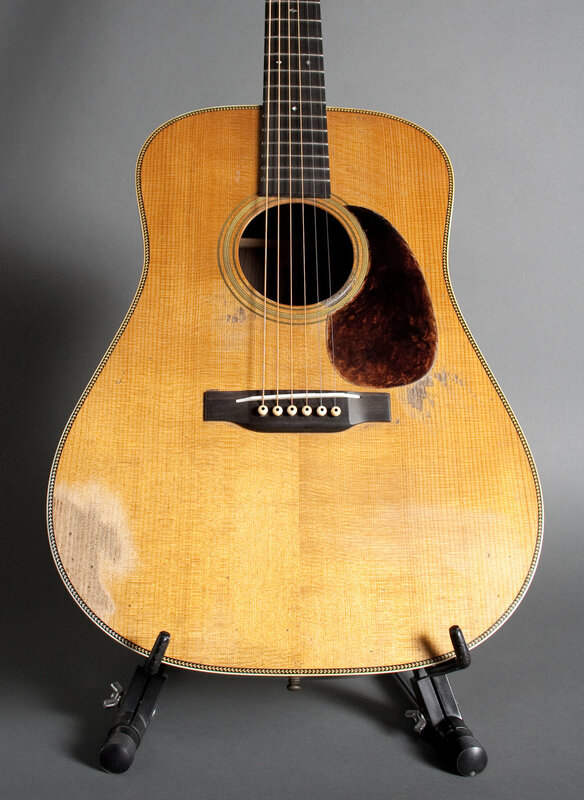 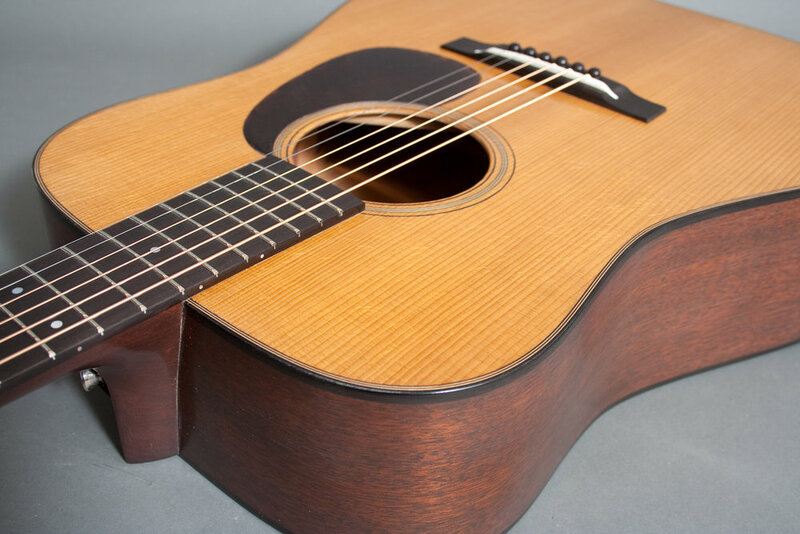 Inspired by vintage guitars that were lovingly cared for and played for much of their life. 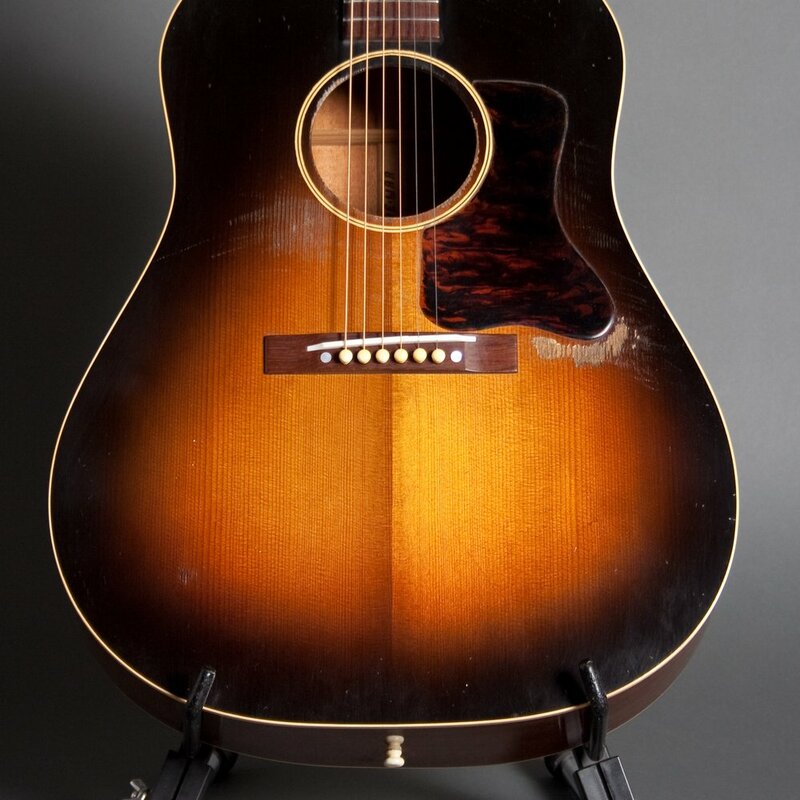 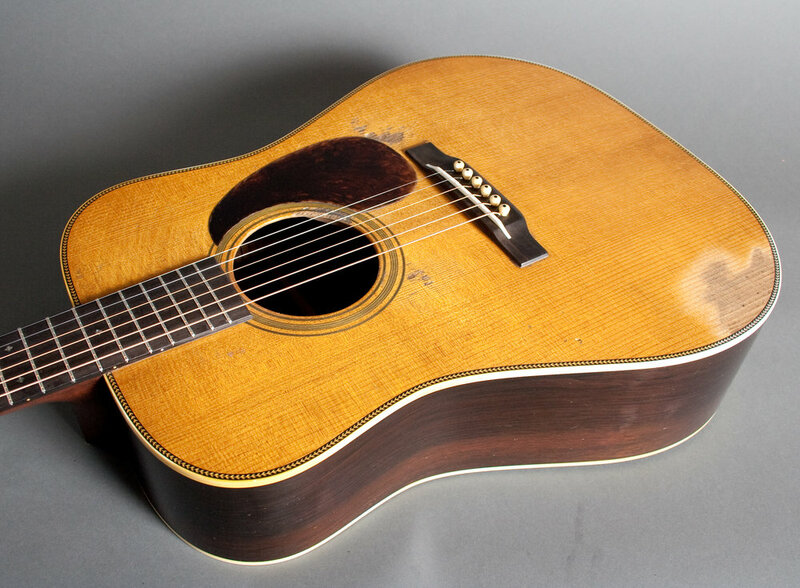 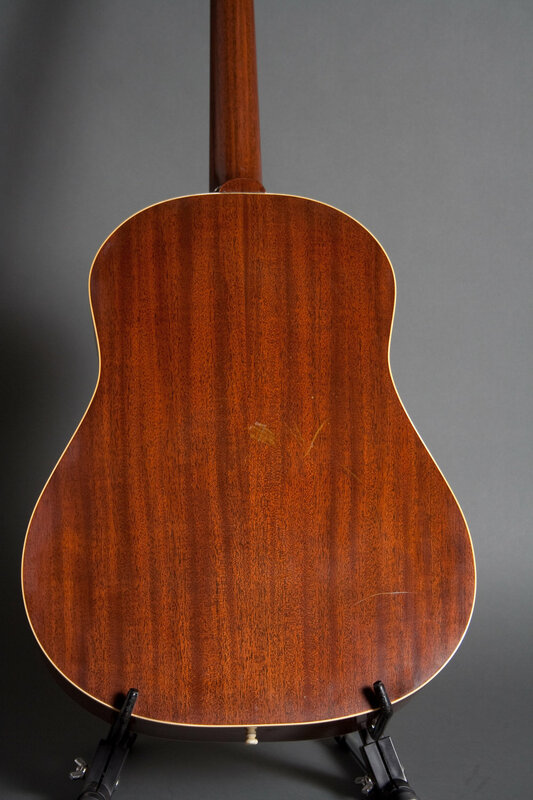 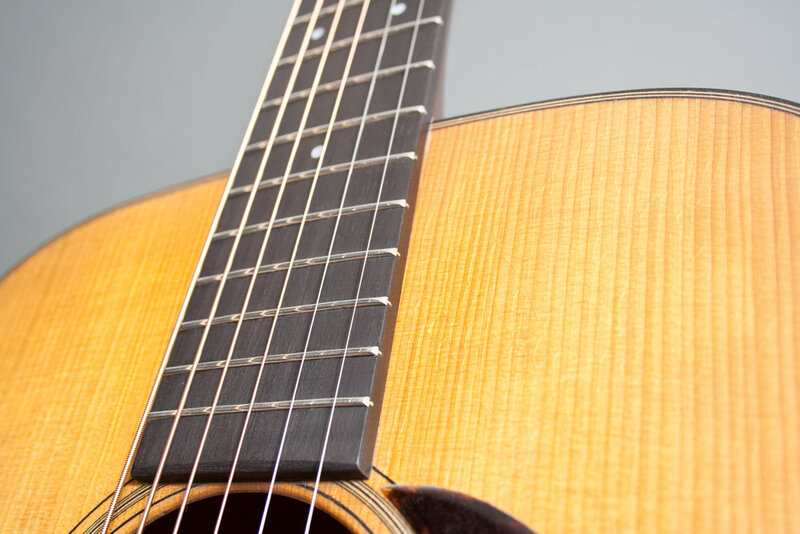 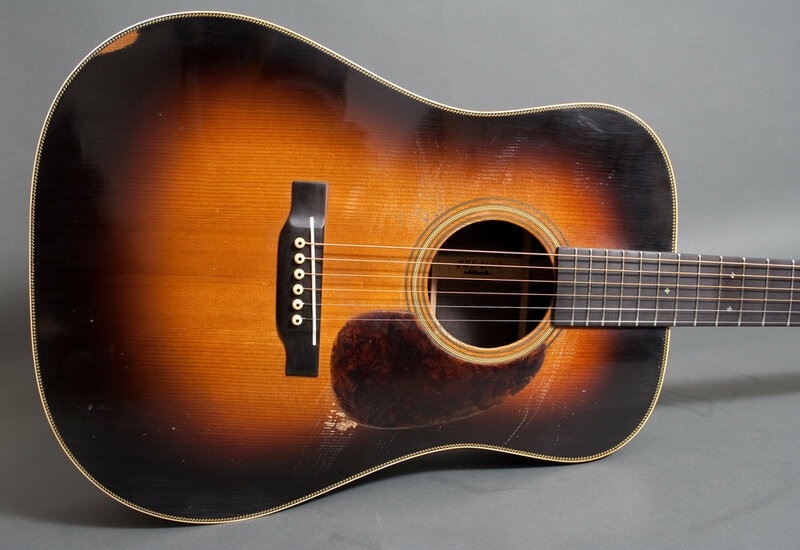 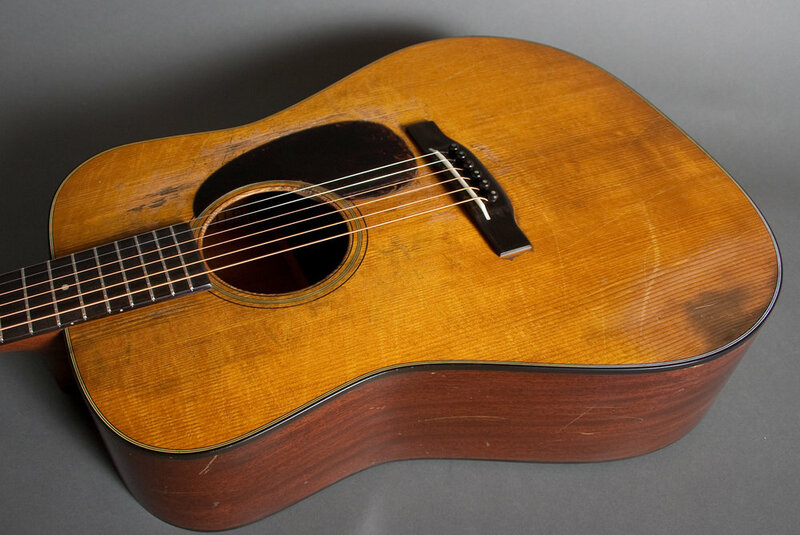 Same thin, aged, and checked lacquer as the level one, with the addition of authentically created play wear around the soundhole, some incidental handling marks, light wear at the elbow area, and light back wear. 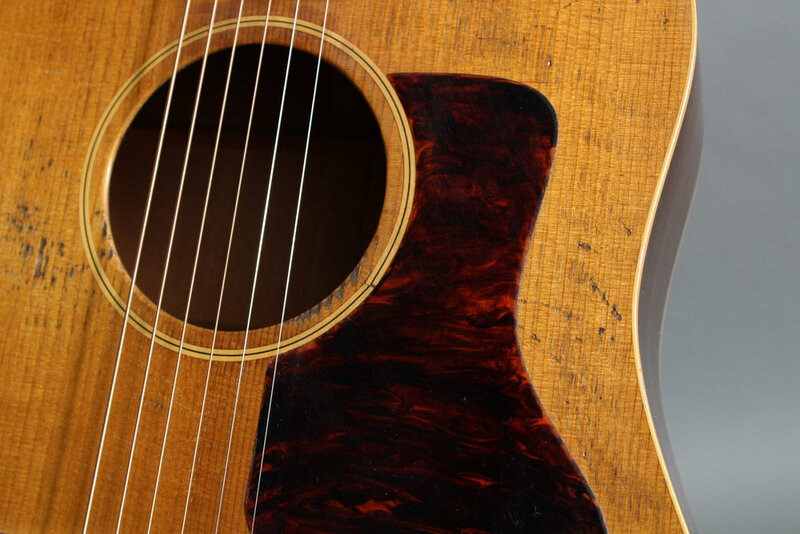 An homage to the true “Road Warrior” guitars we all know and love, with an artful amount of heavy play wear. 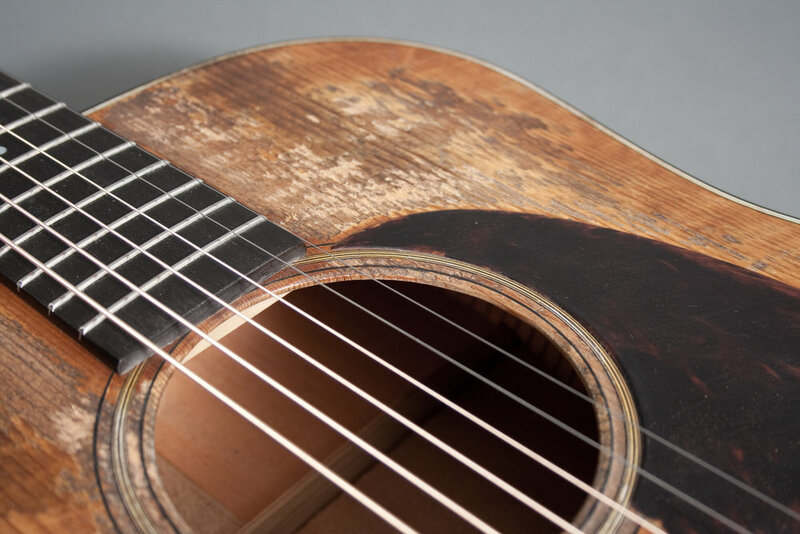 Akin to a guitar that has spent 60 years on tour, the phenomenal response and tactile feedback of certain vintage guitars we have studied inspired this level of distressing. 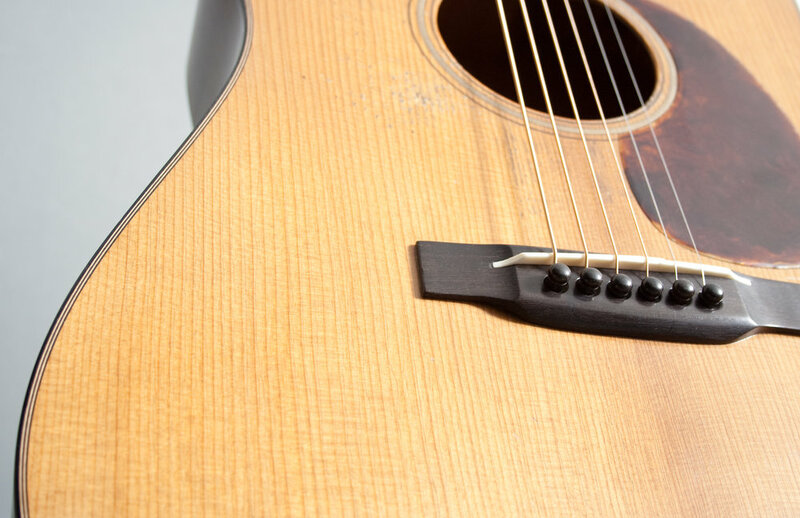 You can specify your preferred distress level when you pre-order a custom guitar or purchase an in stock instrument with a lower level than you desire.